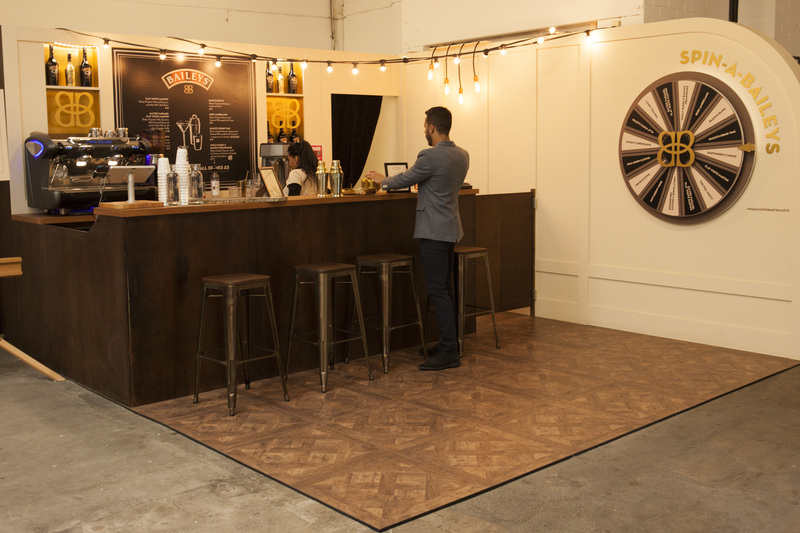 Working with M&C Saatchi we built a pop-up bar to celebrate the 100th Anniversary of the Coca Cola contour bottle. With only 2 days on site this build relied heavily on pre-fabrication in our workshop. The bar and all of it’s components were manufactured and finished in the week prior. 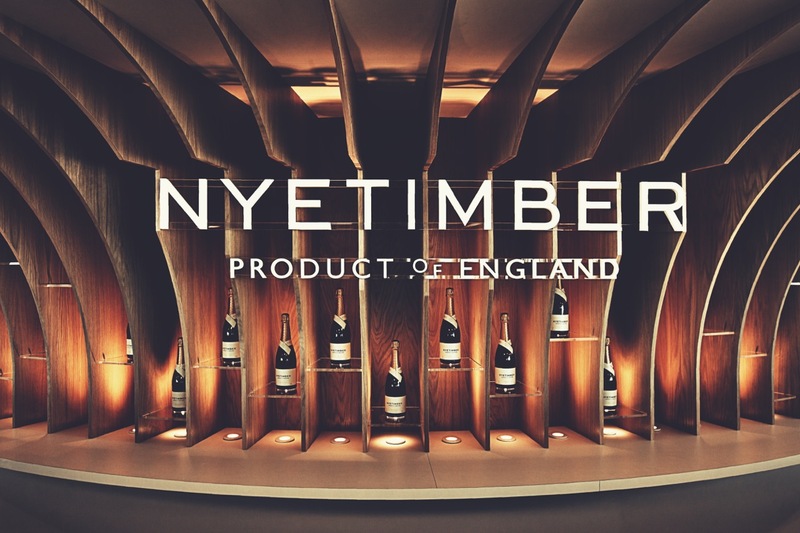 This allowed us to rapidly install on site and concentrate on the finishing touches, which gave the bar an authentic 1920’s feel. The bar on Soho’s Greek Street opened it’s doors for 3 days before we returned to dismantle everything. 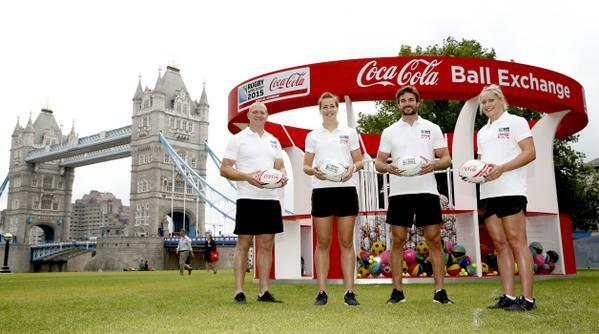 Luckily for everyone involved, the Nicholas Alexander team were able to complete the build without breaking into much of a sweat and so didn’t need to remove our shirts and drink a ice cold coke. 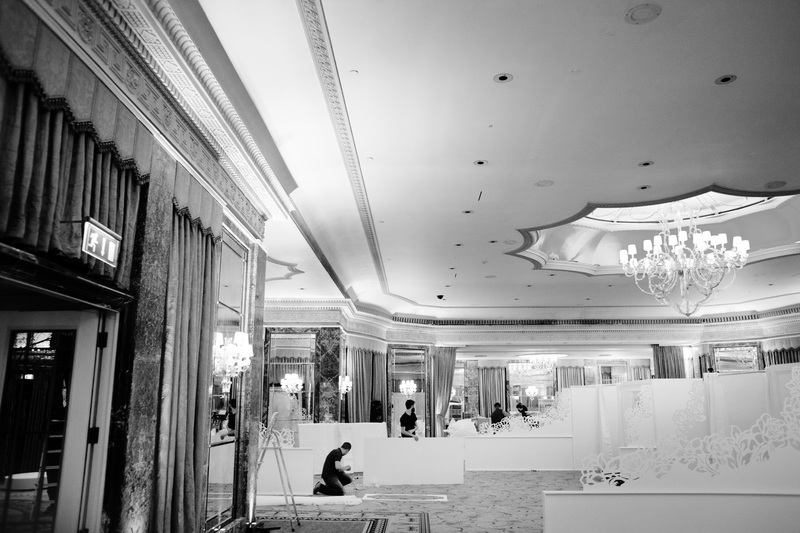 Working with Zouch & Lamare we produced the Aashni + Co Wedding Show at the Dorchester Hotel in January. We designed a structure which created 18 separate booth areas for each designer to display their dresses. Pre-testing of the booth system in our workshop made it possible to quickly erect the main structures on the day of the build, allowing the designers to begin setting up their collections as soon as possible. 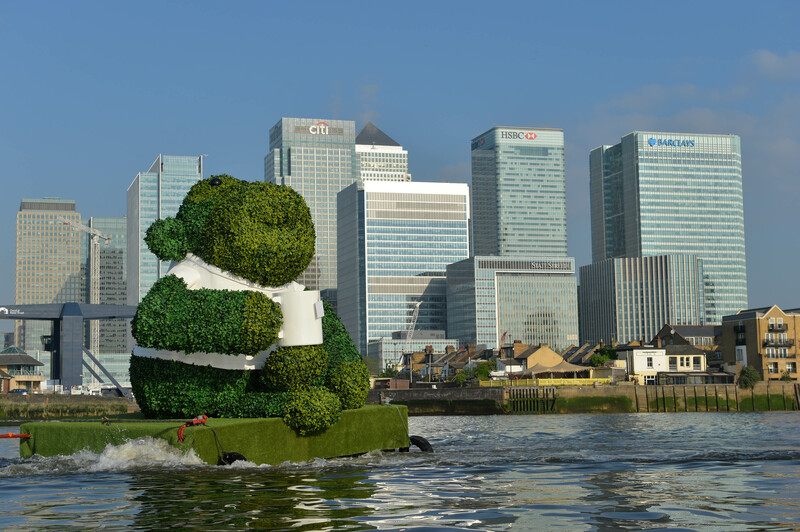 We then added the finishing touches ready for the events opening the day after. After the show our team returned to the venue to take everything apart ready to be put into storage for use at a later date. We worked over a number of months with Westfield to produce the Music Cube. 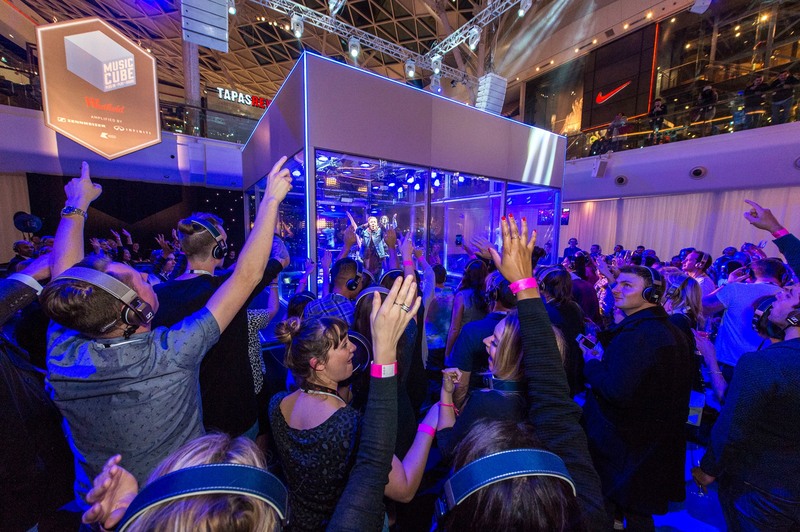 A soundproof glass cube designed as a stage where the audience experiences live music through wireless headphones. From prototyping through to completion the cube was fabricated and tested in our workshop and then appeared at both Westfield locations in London in October. Enormous glass panels were fixed into aluminium frames with the use of a glass lifting robot! The result was an immersive experience for both artist and audience. A reusable structure, the cube is now in storage until next time! 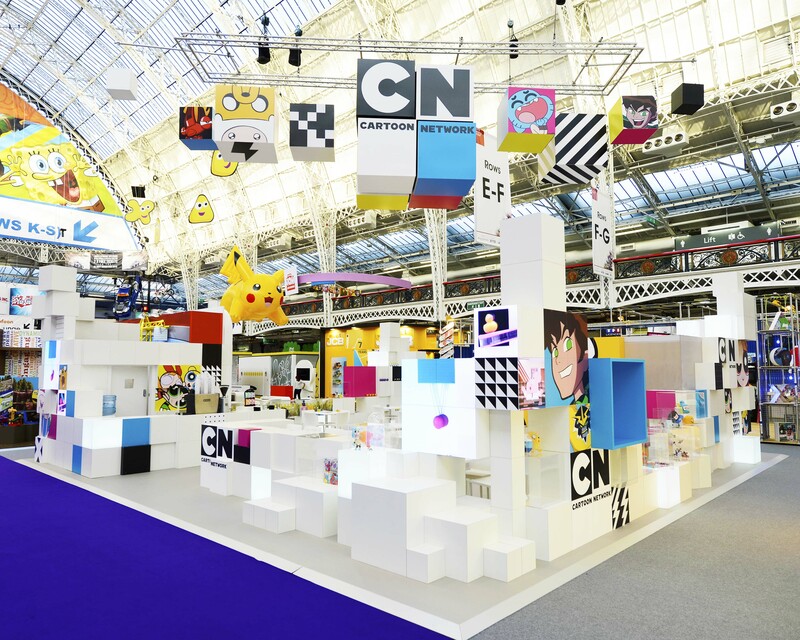 Working with Root for Cartoon Network we produced a trade stand in Kensington Olympia for the Brand Licensing show. Components for the huge amount of cubes were cut on our CNC machine and then laminated, with graphics depicting cartoon characters applied later on site. These blocks allowed for speedy building of the walls and rooms on site and the lamination process ensured a high quality finish and meant that no finishing had to be done on site during the 2 day installation. We also used integrated cube shaped LED screens to animate some of the cubes, bringing the stand to life. 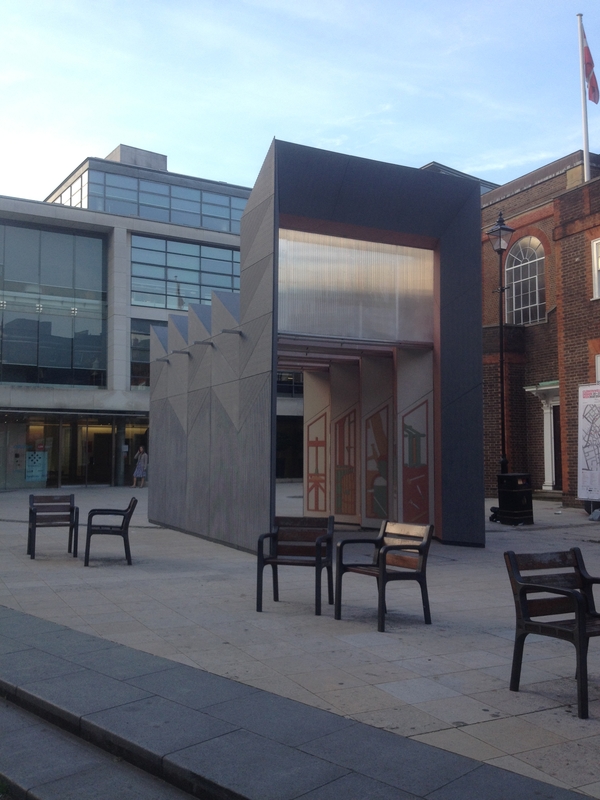 We worked with Studio Weave to build the ‘Smith’ Pavilion in St. John’s Square for Clerkenwell Design Week 2014. 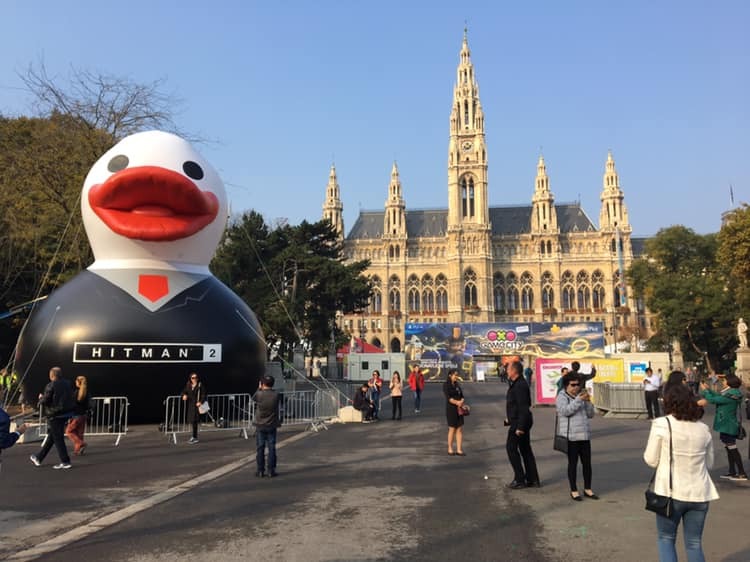 Using fibre cement panels supplied by Equitone our team erected the structure over 5 days ready for the 3 day festival. Intricate illustrations celebrating crafts and ‘smiths’ were created by using the coloured boards as inlay.